Do you feel ashamed to smile because of your heavily stained teeth? Do you have gaps in between your teeth that make you feel embarrassed to laugh around others? Have you tried countless types of over-the-counter teeth whitening products, but nothing has whitened your teeth? So many patients are faced with these same dental problems day in and day out. That’s probably why you landed on this page—because you’re searching for a way to get back the self-confidence you once had. If you’re looking for a way to improve your smile, porcelain veneers may be the best cosmetic dentistry solution for you. The first step is finding out if veneers are right for you by scheduling your cosmetic dentistry consultation. And if you live in or near Albany, GA, call Longleaf Dental! How can veneers fix your smile? Well, the veneers we use at Longleaf Dental are made of a thin (but strong) piece of porcelain. This layer of porcelain gets bonded to the front part of the tooth after we prepare the tooth. Once the veneer is applied, get ready for your drastically improved smile! So veneers can really improve my smile, right? Any other benefits I can look forward to? You’ll be blown away once you see your brand new smile in the mirror. And then you can look forward to all of the benefits that porcelain dental veneers provide. Porcelain veneers are stain resistant, thanks to the porcelain material. That means you can keep consuming your favorite beverages and foods without worrying about tooth stains. Porcelain veneers provides a long-lasting cosmetic dentistry solution for problem smiles. In fact, with proper care, veneers can last 15-20 years. Porcelain veneers can fix several types of smile problems, leaving you with a beautiful smile and increased self-confidence. When created and placed properly, porcelain veneers will look natural (not fake) for an attractive, flawless smile. You’ll love showing off your new smile. Porcelain veneers (underlined text links here: https://longleafdental.com/veneers/) are customizable, which means our cosmetic dentists can alter the size, shape, and color to match perfectly and naturally with your smile. As you can see, porcelain veneers will improve your self-confidence and drastically improve your smile. But I have a lot of dental problems. Can veneers fix MY problems? 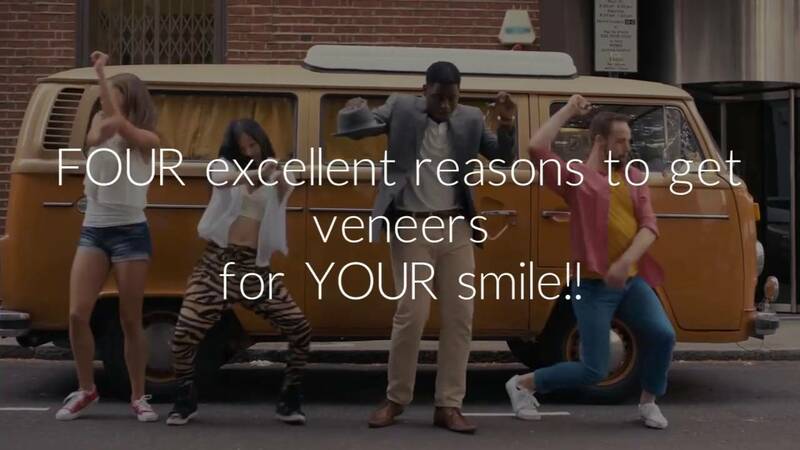 As you read, veneers offers many benefits. And one of those benefits includes the fact that veneers fixes several types of dental problems. Simply put: veneers can revitalize and transform unsightly smiles into attractive smiles. To fully benefit from porcelain veneers, you must take care of your smile. Like most great things in your life, you should take care of what you have. And veneers are no different. In fact, to enjoy all of the benefits of veneers for many, many years to come, we recommend a few things. If you grind or clench your teeth (this condition is called bruxism), you want to protect your veneers as much as possible. Let your dentist know right away if you grind or clench. We may recommend a night guard so your veneers will be protected from harm and damage. Avoid habits that can be destructive to your veneers. In particular, avoid biting your fingernails, biting on toothpicks, and chewing on ice (or any hard item or food that can cause harm). Avoid opening items with your teeth. Avoid excessive alcohol consumption. The alcohol can prematurely break down and cause harm to the bonding cement that we use to apply the veneer to the tooth. If possible, limit consumption of dark-colored beverages and sugary foods. If you consume these, brush (and floss) your teeth shortly afterwards. Keep your 6-month checkup appointments with your dentist. Ready for a boost of self-confidence? Call Longleaf Dental. Our cosmetic dentists are ready to transform your smile with porcelain veneers. The first step is scheduling your cosmetic dentistry consultation. At this appointment we can determine if veneers are the right option for your smile. So go ahead and improve your smile today…call us to schedule your appointment!